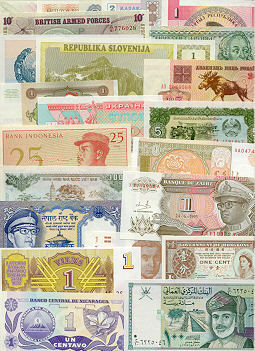 Banknote Country-Set of 50 different countries banknotes. 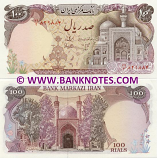 Banknote country-sets contain only ONE banknote from each country. 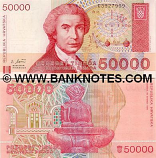 Most banknotes are Uncirculated. Some banknotes might be AU or AU-UNC. Some small size, some medium and some bigger size banknotes. "50 different countries banknotes" means that there are 50 banknotes in the set each of which is representing it's own country. All sets are fixed sets and can not be customized. Photo is only for illustrational purposes. 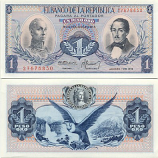 Banknotes depicted in the image are not necessarily included in this set.